Cabin 7 (like Cabin 5) has six separate rooms and can house up to 20 people, including 4 families and/or 2 couples. 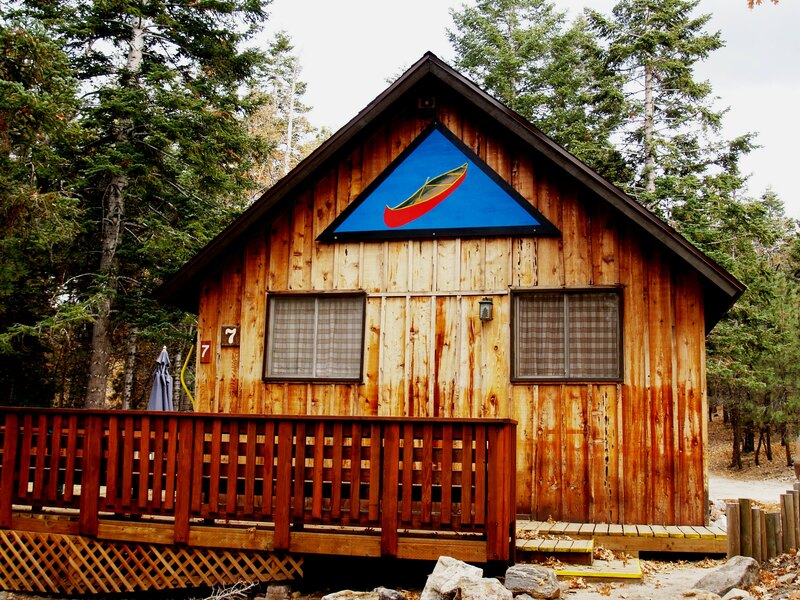 Four rooms have two bunks and two rooms have a Double-Bed- perfect for mother and child, or a couple seeking cozy accomodations! 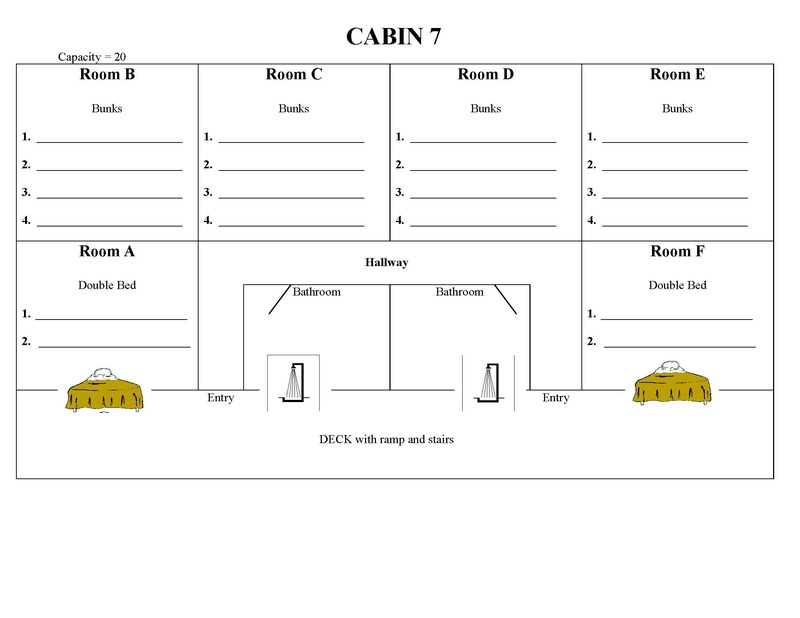 Cabin 7 also has two bathroom/showers, two entries and a deck with ramps and stairs.